Metered street parking is easily accessible. There is a parking garage located around the corner from CIRCA, the entrance is on N. Garfield Street. One block from the Clarendon Metro, on the Orange line. We have the ability to adapt our semi-private dining room to meet your special event needs. It is the perfect space for hosting a bridal shower, a business lunch, or a dinner with friends. We love everything about Circa! Great location with plenty of street or parking garage options. Service was very good. The food choices were nice. Dinner served quickly and it was delicious. As were the cocktails. Huge wine selection too. Food was excellent and service was great. Wonderful place for a nice brunch or quiet dinner. Will be going back. The deserts were flavorless except for the ice cream topping. Desert apples and carrots did not taste fresh, carrot cake frosting was bland. The salads were straight from the very coldest refrigerator--the plates were ice cold and to complement them the bread was as if it had been microwaved from the freezer. Steak and frites were fine. Thank you so much for joining us. We are so sorry to hear about your experience with the food. We will be following up over private message to learn more. Great food, service, wine list, and vibe. Everyone in our party thoroughly enjoyed our GNO! Thank you so much for joining us! 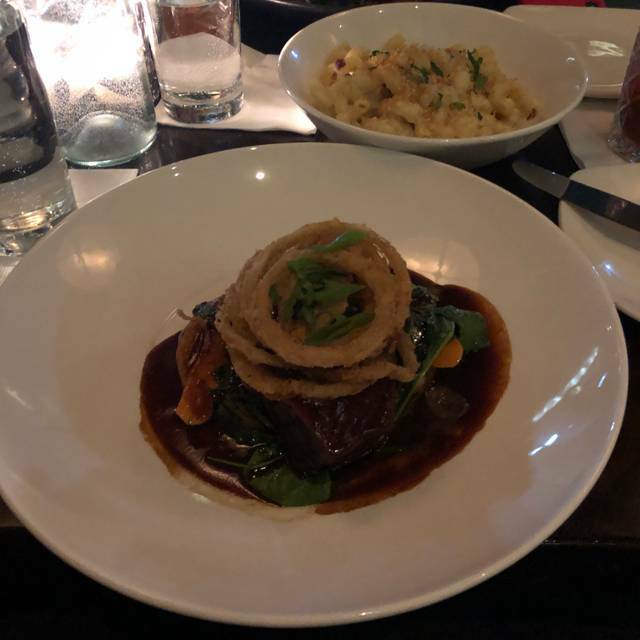 We are so glad you enjoyed the food, service, wine list, and atmosphere! We look forward to seeing you again soon! I frequent this Circa location often, I started coming here out of convenience but nw I’m come more for the service and the food. Thank you so much for joining us! We are so glad you enjoy the service and food. We look forward to seeing you again soon! My husband and I love CIRCA and had such a great experience on our last time there. The restaurant sent over cookies because they know we have celebrated many “firsts” there which was so thoughtful and part of the reason we keep coming back! Jessica, thank you so much for joining us time and time again! We are so glad to hear we've been able to celebrate many "firsts" with you and look forward to celebrating many more with you. We look forward to seeing you again soon! Great food and wonderful place to spend with friends!! Rosa, thank you so much for joining us! We are so glad you enjoyed the food. We look forward to seeing you again soon! The best of all is the chance to eat outside in warm weather - which we did for the first time in months! Thank you so much for joining us! We are so glad you enjoyed eating outside. We look forward to seeing you again soon! Rachel, thank you so much for joining us! We are so glad you enjoyed the Almond Granola French Toast and service. We look forward to seeing you again soon! Thank you so much for joining us! We are so glad you enjoyed everything and we hope to see you again soon! outstanding service and great food; highly recommend. Jeff, thank you so much for joining us! We are so glad you enjoyed the food and service. We look forward to seeing you again soon! We got to sit outside which was nice, because inside was a little loud. Food is soooo good. Love this place! Thank you so much for joining us! We are so glad you enjoyed the food and patio! We hope to see you again soon. Absolutely awesome. This place never disappoints. Food and drinks are superb. Friendly and professional staff! My go to place! Sean, thank you so much for joining us! We are so glad you enjoyed the food, drinks, and service! We look forward to seeing you again soon! Good food and service at a very reasonable price! Go here at least 3 times a month and never disappointed! Thank you so much for joining us! We are so glad you enjoyed brunch. We hope to see you again soon! Been there twice and enjoyed both meals. Burgers, mac best I've had anywhere. Good, friendly service. Can get noisy as it fills up. I've taken away one star because the prices are a bit high. Thank you so much for joining us! We are so glad you enjoyed the burgers and Four Cheese Macaroni. We look forward to seeing you again soon! Overall, CIRCA was a fantastic experience. The food is outstanding. Drink prices are a bit high. There's no need to gouge me on every drink. Other than that, I (we) loved it. Kathy, thank you so much for joining us and for sharing your feedback! 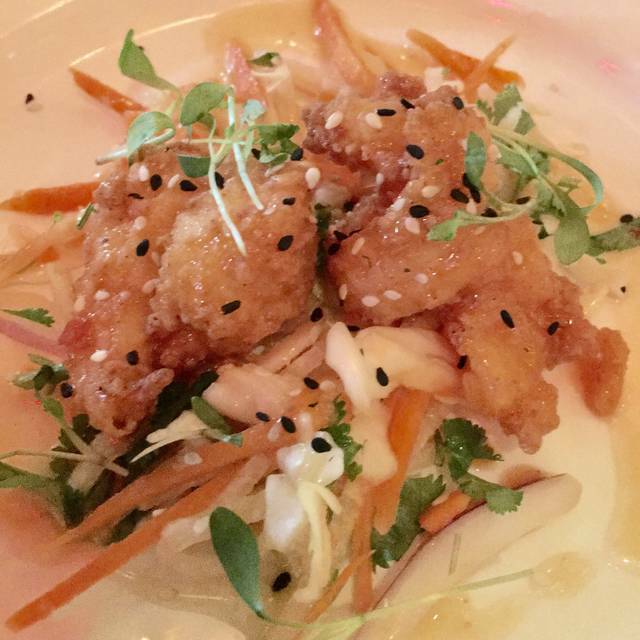 We are so glad you enjoyed the food and we look forward to seeing you again soon! Very attentive service and timely without being in your face when you’re talking with your lunch friend. We each had the quinoa bowl salad; I had it with salmon and my friend had with chicken. Generous portion size and lovely vibe to the place! Celia, thank you so much for joining us! We are so glad you enjoyed the Veg + Quinoa Bowl. We look forward to seeing you again soon! Thank you so much for joining us! We are so glad you enjoyed everything and hope to see you again soon! Took a couple young employees out for a thank you lunch. Good food, reasonable portions. Separate gluten-free brunch menu not avaialble. Annie, thank you so much for joining us! We are so glad you enjoyed the food and look forward to seeing you again soon! 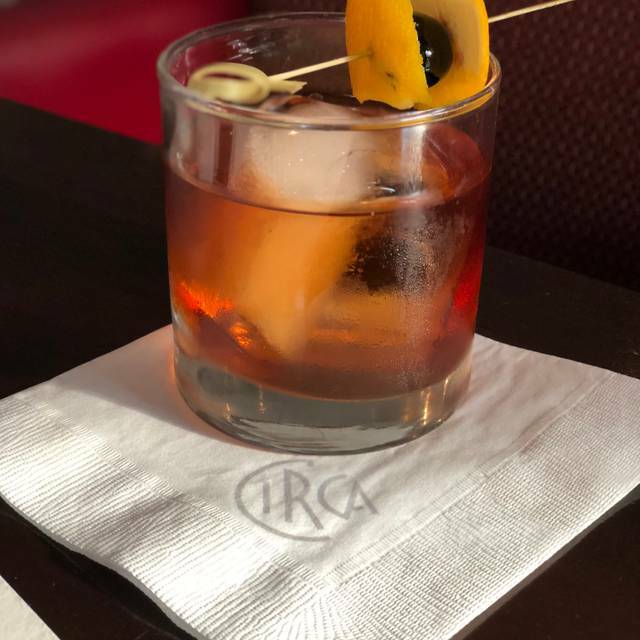 We went to Circa on a Saturday night and it was great - delicious food, wonderful service, and nice ambiance. I went a couple times back in 2012 and had the opposite experience so gave up on the restaurant until last weekend. Glad I gave it another chance. Will hopefully be another neighborhood go to spot. Thank you so much for giving us another chance! We are so glad you enjoyed everything and we look forward to seeing you again soon! Thank you so much for joining us! We are so glad you enjoyed everything and look forward to seeing you again soon! Always excellent service and food. It is very convenient to my office so the location is perfect for business dinners and for a casual coctail. Thank you so much for joining us! We are so glad to hear you enjoyed the food and service. We look forward to seeing you again soon! I enjoy the food at this place and I like the atmosphere. Nancy, thank you so much for joining us. We are so glad you enjoyed the food and atmosphere and hope to see you again soon! My parents were running late to dinner due to parking, but the waitstaff still kindly seated me while I waited. They ordered an appetizer, but due to a food allergy I couldn't eat it; I was very happy that my server was attentive to this fact, and reinforced it to me, although I already knew. My burger and fries were delicious, and to my surprise I ordered milk + cookies for dessert (comfort food!). 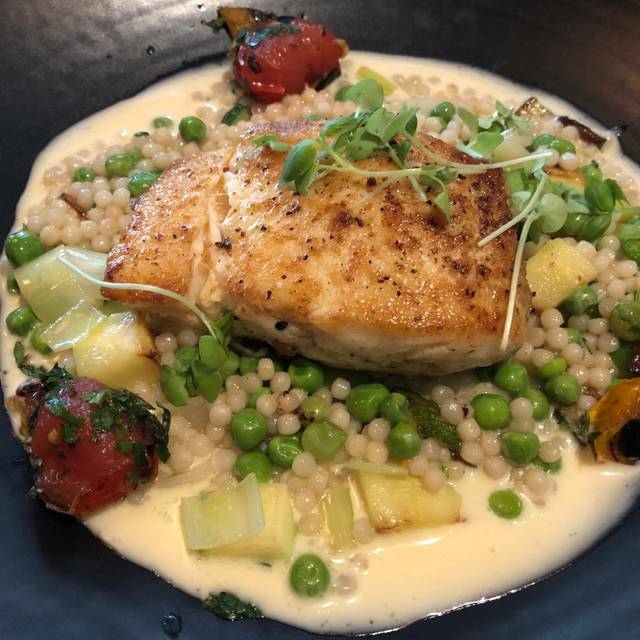 It was my first time to dine at CIRCA, and I could see myself returning there to the Clarendon, or one of their other locations! Thank you so much for joining us! We are so glad you enjoyed the burger and fries as well as the cookies! We look forward to seeing you again soon! Beautiful atmosphere and noise level was perfect. Perfect area and restaurant for a classy, chill brunch. The Blackened Chicken, Mango Salad was phenomenal. The cocktail list and staggered mimosa price list was clever as well. I also needed to change the time of my reservation and the male who answered the phone was super friendly and accommodating. Thank you so much for joining us! We are so glad you enjoyed the Blackened Chicken Mango Salad, cocktail list, and Beat The Clock Mimosas! We look forward to seeing you again soon! Thank you so much for joining us! We are so glad you enjoyed the food and service! We hope to see you again soon! We enjoyed our great dinner at CIRCA very much. The wait staff was spot on with taking orders, delivering/removing items and inquiring if additional items were needed. The food was very good. We enjoyed the cauliflower and Brussels sprouts appetizers, prefect for 4 to share. The spinach salad was nicely seasoned and easy to share between 2 diners as well. The special flounder dish was delicious, 3 of our party ordered it and not a scrap was left on our plates. The brick oven chicken was also well liked. Good selection of beverages from non alcoholic to cocktails, beers and wine. Thank you for a nice evening. Attentive service and excellent food. Thank you for joining us! We are so glad you enjoyed the service and food! We hope to see you again soon! We were the first in the restaurant for brunch and were seated immediately. I appreciate how comfortable the seating is and diverse the menu. ORDER THE BRUSSELS AND BLUE!!! They don't disappoint. Food delicious, staff all smiles, attentive, and pleasant. Terri, thank you so much for joining us! We are so glad you enjoyed the variety of the menu, Brussles + Blue, and service! We hope to see you again soon! Very good. Food came out extremely fast our whole dinner with apps only took 45 mins! Wish the portions were a bit bigger. Our evening at Circa met and exceeded or expectations. The setting was pleasant, the food was delicious, and the service was excellent. Had so much fun at Circa! Great location and food was awesome. The waitstaff was super friendly and I will definitely be going again!